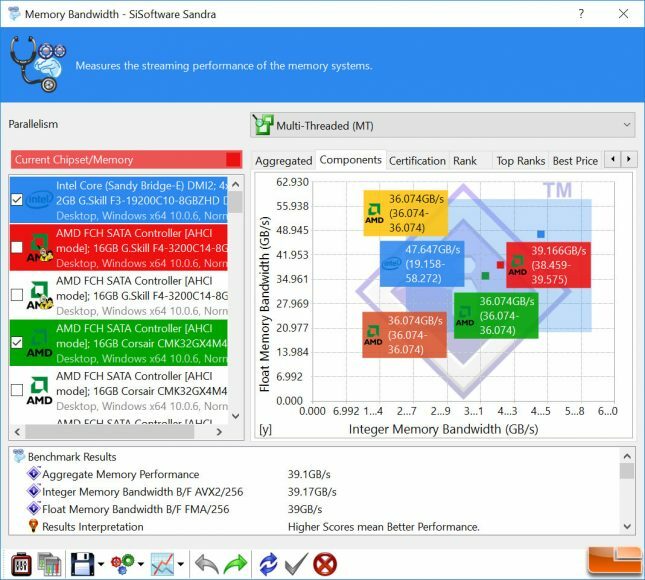 AIDA64 Extreme Edition 5.90 software (website) is an excellent benchmarking tool for looking at memory performance on any desktop PC. This version of AIDA64 implements full support for the upcoming Intel Skylake processors, adds advanced support for Microsoft Windows 10 and Windows Server 2016 operating systems, and supports the latest graphics and GPGPU computing technologies by both AMD and nVIDIA. 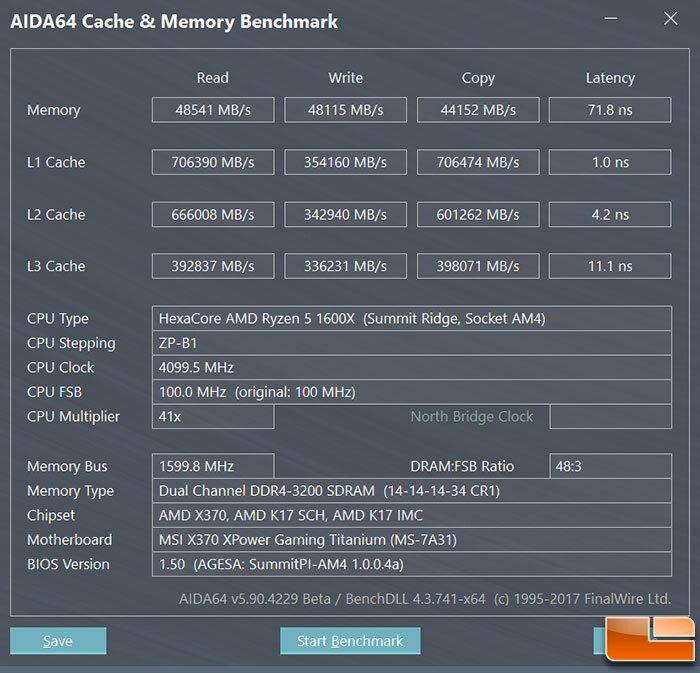 AIDA64 Extreme 5.90 software is free to try with limited features or $39.95 to buy with 1-year of free updates. 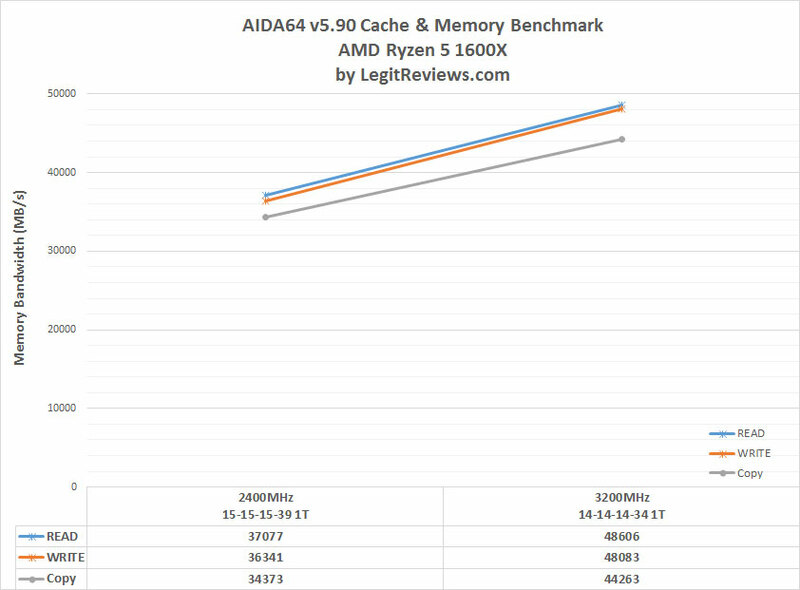 Benchmark Results: At DDR4-2400 dual channel with CL15 timings we were getting right around 37,000 MB/s of read/write memory bandwidth and by the time we got up to DDR4-3200 with CL14 timings we were running over 48,000 MB/s! This is a nice performance increase in memory bandwidth! 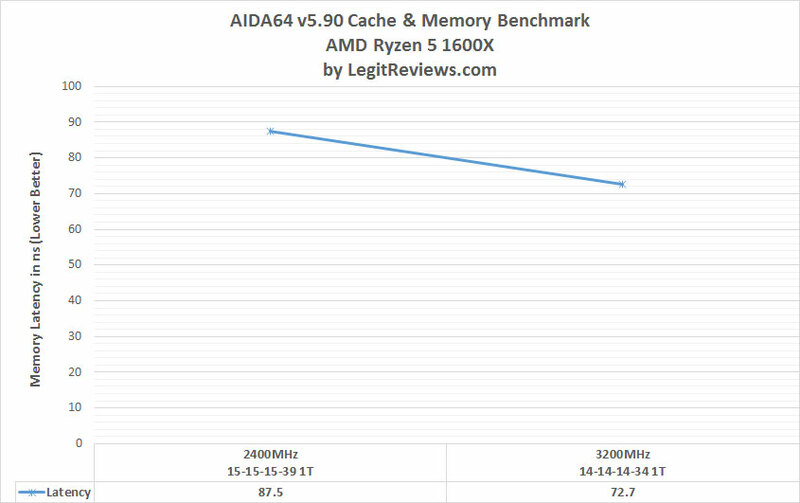 Benchmark Results: The latency of the memory decreased as the DDR4 DRAM clock speed increased as we expected. At DDR4-2400 we averaged 87.5 ns and then improved that as the clock speeds went faster until we reached 72.7 ns at DDR4-3200. Our lowest latency of the numbers that we averaged was 71.8ns on this 3200MHz memory kit. SiSoftware Sandra Lite was designed to be a Windows system analyzer that includes benchmarking, testing and listing modules. 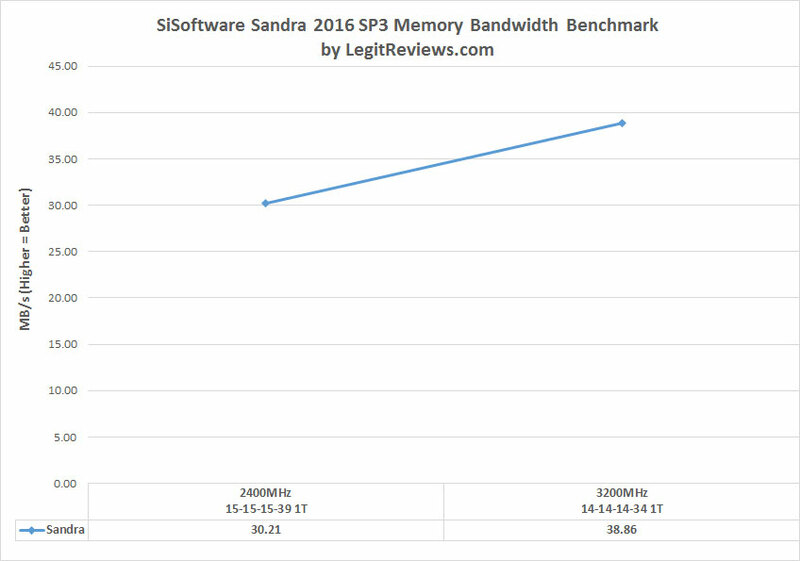 All benchmarks are optimised for both SMP & SMT (Hyper-Threading), up to 32/64 CPUs depending on the platform. 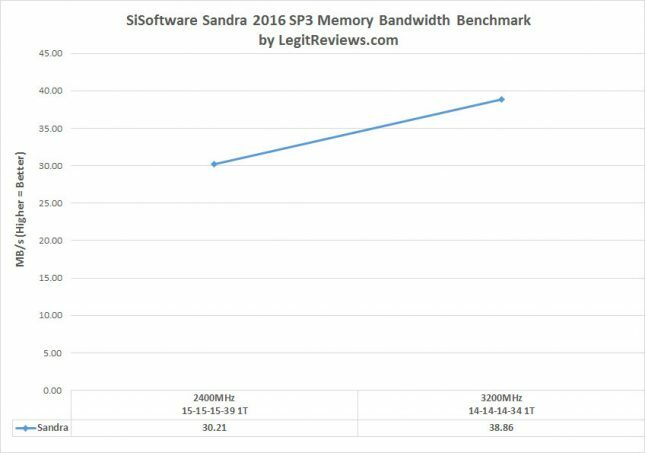 Benchmark Results: Using Sandra 2016 SP3 we again checked the memory bandwidth performance and managed to go from 30.24 GB/s with our 2400 MHz DDR4 memory kit with CL15 timings all the way up to nearly 39 GB/s with the 3200 MHz DDR4 CL14 memory kit. In fact, on on our best run with the G.Skill Flare X 16GB 3200MHz CL14 memory kit we got 39.1 GB/s with the AMD Ryzen 5 1600X processor at stock speeds on the MSI X370 Xpower Gaming Titanium motherboard.